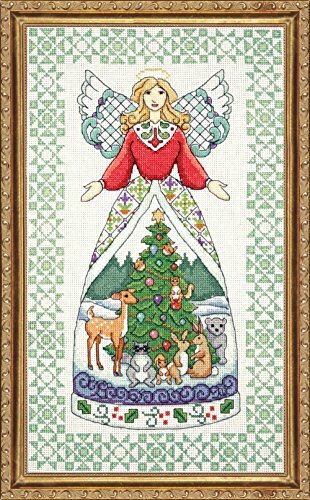 Tobin Winter Angel-Jim Shore Counted Cross Stitch Kit is beautiful designs and top quality materials make Tobin one of the top counted cross stitch kit makers worldwide. This package contains 14-count Aida cloth, embroidery floss, one needle and instructions. Finished size: 15 x 9 Inch. Made in USA.